It is a good analysis of the cognitive dissonance between what Enterprise Architects should be doing and the role and situation they often actually find themselves in. The term Enterprise Architect has been hijacked for far too long. An Enterprise Architect should indeed be a senior leadership role, ideally reporting to the CEO. The trouble I’ve often seen is that mid level executives often think that because they have been promoted into that role that their job title automatically gives them the skills and experience of a real enterprise architect. They do have the skills to set business strategy and provide direction of course (This is a Viable System Model System 5 role). But are they capable of plotting the effect on the enterprise architecture and planning an Business transformation roadmap? Often not so much. They understand the market realities and their customers. The Roadmappping and Busienss Transformation is more the domain of expertise of the enterprise architect (This is a Viabale system Model System 4 role). Subsequently the mid level executives tend to think that real Enterprise Architects who engage with them are somehow after their job (instead of being there to help them) and spend their political capital to push them back to IT where they think they belong. News Flash: Enterprise Architects don’t belong in IT! There should be a Chief Enterprise Architecture Officer with a EA Management Office (or better still called the Office of the CEO) to support them, in the same way that a PMO supports Programme Managers. 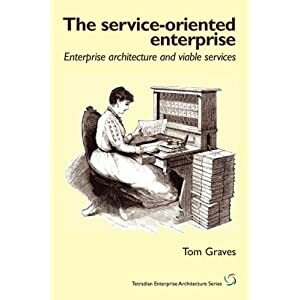 My advice is to educate the employers and teach them what an Enterprise Architect really does, and not let them employ other skills and erroneously call them Enterprise Achitects. Its time Enterprise Architecture was taught properly in University MBA courses to the next generation of business leaders. Maybe then the cognitive dissonance will be avoided. Enterprise Architecture is all about supporting strategic planning and business transformation activities, although many organisations seem to almost wilfully forget that this is one of the main purposes of Enterprise Architecture if not the most important one. Enterprise Architecture bridges the gap between new strategy ideas and the execution of those ideas, in the same way that the intelligence corp in the military provide intelligence about current and future capabilities to the generals and ensure that the appropriate planning takes place in order to win the military campaigns. Many organisations without an Enterprise Architecture function will risk failing to properly implement or deliver the on their business strategy. It is frequently reported that many strategic ideas and initiatives identified by C-level executives are never properly implemented or seen through to full operation by the business units. That big picture of the business strategy on the white board in the CEO’s office or a high level presentation can look deceptively simple in a board meeting, but as they say ‘the devil is in the detail’. The C-level executives are responsible for seeing that the strategy is implemented, but it will be the Enterprise Architect that works out the detail. What Strategic initiatives are needed to fill the gaps found and address risks and issues? What new or changed business capabilities will be needed? What needs to be done when? How does one prioritise the different strategic business initiatives on an Enterprise Architecture roadmap? When are these investments in change going to be delivered? How will the initiatives be funded? What are the dependencies between the strategic initiatives? How will the business model be changed? How will the target Business Operating Model be changed? What organisation units and business functions need to be changed? What value chain and value streams need to be changed? What are the costs and potential revenues? How feasible is the business strategy? What feedback mechanisms between ‘systems’ will be needed? What controls, KPI’s, CSF’s, incentives, bonus structures will be needed? What changes to the principles and standards will be needed? How do we align people, processes and technology? What other things have we forgotten? ‘Enterprise Architecture As Strategy: Creating a Foundation for Business Execution’ by Jeanne Ross and Peter Weill. I am currently involved with the EAST group (an outreach group of SCiO http://www.scio.org.uk/ ) which is looking at the overlap between Enterprise Architecture and System Thinking, and in particular the Viable System Model (VSM). But what is the Viable System Model? 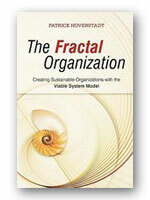 The Viable System Model is a recursive view of five main systems within an organisation. System 5 Policy, ultimate authority, identity. System 4 Adaptation, forward planning, strategy. System 3 Internal regulation, optimisation, synergy. System 2 Conflict resolution, stability. System 1 systems within an organisation are realised by those organisation units that actually make products, deliver business services and create value. System 2 systems are those organisation units that provide the coordination functions. System 3 systems are those that provide the audit and operational control functions. System 4 systems are those that look forward to the future and the external environment. System 5 systems provide the strategy and business direction. The Viable System Model is recursive so that the same five systems appear at all levels within an organisation, but it’s easy to see equivalent VSM systems at various levels in an organisation. At at the top level it is possible to see that the Executive Board is a level 5 system, the general management are mainly level 3 systems, the system 2’s are the programme managers, project managers and solution architects. The system 1’s are the operational service delivery units and project teams. Where does that leave Enterprise Architects? Well the Enterprise Architect function is essential a system 4 system with it’s focus on strategic planning for the long terms view and creation of roadmaps of strategic initiatives. The strategic Enterprise Architects (system 4) with their long term, external and strategic focus work in co-operation with the Solution Architects (system 3) with their immediate operational, internal, lean, design and delivery focus. It’s clear to see with our Viable System Model lens that solution architects and enterprise architects are not doing the same job but a completely different job. From an Architecture Continuum perspective (TOGAF9 http://pubs.opengroup.org/architecture/togaf9-doc/arch/chap39.html) then the Viable System Model is an example of a generic Foundation Architecture. and a thus a key architecture to reuse when designing organisation specific target enterprise architectures. The SCiO group has developed the SCiO Organisational Maturity Model http://www.scio.org.uk/OMM which is based on the Viable System Model. This can be used for assessing the strengths and weaknesses in your enterprise, looking at how efficiently it is working today, both in the immediate operational perspective but aslo the log term viability of your enterprise in the face of changing external market and business environment. The outcomes are expressed in terms of a measure of maturity across those six dimensions and a diagnosis of which Archetypes (i.e VSM anti-patterns) apply to your enterprise and which need to be addressed. Unlike Lean manufacturing which only focuses on operational efficiencies in the the lowest level System 1, System 2 and System 3 systems within an organisation, the Viable System Model looks at the whole enterprise from a recursive perspective which is more sound and holistic. In some ways it is surprising that it hasn’t yet reached a tipping point within organisations or their enterprise architects. Maybe this is because everyone is too focused on the day to day need for operational efficiency and approaches such as Lean Manufacturing (http://en.wikipedia.org/wiki/Lean_manufacturing) and forgets about planning for the future. This is the difference between being reactive and proactive. The next time you are challenged on the purpose and value of Enterprise Architecture, then answer that it’s the difference between the external and future oriented perspective of the VSM system 4 as opposed to the inside and now, operational efficiency perspective of system 3 and service delivery perspectives of system 1 and 2. Governing the realisation of those strategic changes and development of new business capabilities. The more one looks at the Viable System Model, the more it looks like the unifying theory behind Enterprise Architecture.